Andrew M. Cuomo was re-elected as the 56th governor of the State of New York on November 6, 2018, continuing a lifelong commitment to public service and to making government work for the people of New York. Governor Cuomo has worked to rebuild New York’s government by focusing on integrity, performance, professionalism, partnerships, and results for the people of the state. At the start of his second term, Governor Cuomo stressed the importance of working together as a team to acknowledge the challenges facing the state’s citizens and communities, and to find solutions that achieve economic opportunity and mobility, educational opportunity, and a fair justice system for all New Yorkers. Prior to his election as Governor, Andrew Cuomo served four years as New York’s Attorney General. 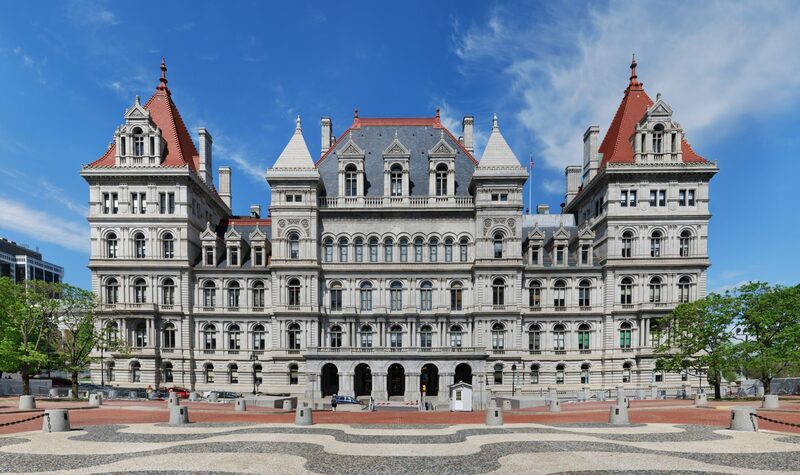 As the state’s top legal officer, he made restoring public trust in government and protecting New York taxpayers the top priorities of his administration. During his tenure, he worked to make the Internet safer for children, and undertook investigations and reforms that addressed at the national and state levels fraud and abuses in the student loan, financial and health insurance industries, and the state pension system. In 1997, Andrew Cuomo was appointed Secretary of the U.S. Department of Housing and Urban Development (HUD) where he launched a successful overhaul of the agency’s management and programs, and fought racial discrimination in housing programs. In 1986, acting on his longstanding commitment to the homeless, he established the Housing Enterprise for the Less Privileged (HELP) which became the nation’s largest private provider of transitional housing for the homeless. As a result of this work, he was appointed by then-New York City Mayor David Dinkins in 1991 to lead the New York City Commission on the Homeless. Born in December 1957, he received his Bachelor of Arts Degree from Fordham University and his law degree from Albany Law School. Governor Cuomo first practiced law as an assistant district attorney in Manhattan. He has also worked as a partner in a New York City law firm and was of counsel at Fried, Frank, Harris, Shriver & Jacobson. Governor Cuomo is the proud father of three daughters, Mariah, Cara, and Michaela.